For a few pennies a day, you could change the life of a family. Your donation will help build homes right here in Jefferson City. Habitat for Humanity is a non-profit organization dedicated to building safe, decent, affordable homes. We believe everyone deserves a decent place to live. Volunteers are the backbone of our organization and allow us to build affordable homes. However, swinging a hammer is just one of the many volunteer opportunities! At Habitat for Humanity we believe everyone deserves a decent place to call home. success, stability and health. You can help unlock a family’s future by supporting Habitat today. During the month of April, we will have "keys" available in the ReStore in order to make a donation. Purchase a paper key by making a donation in any amount, write your name on it and let the community know that you are a supporter of affordable housing. key role in positively influencing a family’s education, health and financial opportunities. Over the next year, in partnership with The King Center’s MLK 50 Forward initiative, Habitat is renewing and strengthening its commitment to build a world where everyone has a decent place to live and the opportunity for a better future. 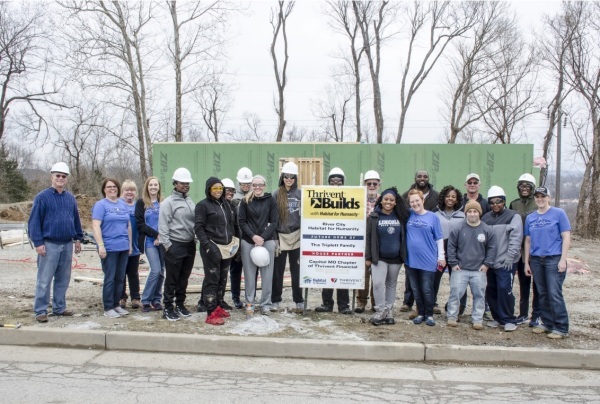 This year, in rising to meet The King Center’s MLK 50 Forward challenge to undertake 50 acts of kindness and service, local Habitat organizations across the country are undertaking Beloved Community projects in their cities, including the construction of new affordable homes, critical home repairs and neighborhood revitalization initiatives. River City Habitat for Humanity here in Jefferson City is partnering with the Jefferson City NAACP and taking on this challenge by building a new affordable home this fall for a single mother in need of a place to call home for her and her special needs son. We invite you to be a part of this initiative with us. "I believe that every single one of us — regardless of who we are or where we come from — deserves a decent life. I ask others to join me — it’s up to us to make this a reality." We need volunteers to help on the construction site on Saturday build days—no experience necessary! We will teach you everything they need to know for that day’s project. Come join us for this great community project! River City Habitat for Humanity, an affiliate of Habitat for Humanity International, is a nonprofit housing organization working in the Jefferson City area. Our vision is a world where everyone has a decent place to live. We work toward that vision by building strength, stability and self-reliance in partnership with families in need of decent and affordable housing. 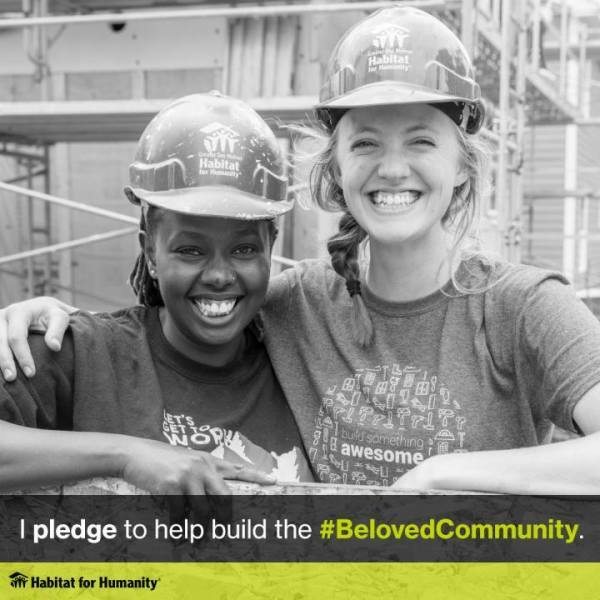 Habitat homeowners build their homes alongside volunteers and pay an affordable mortgage. River City Habitat for Humanity began in 1992 and we have built over 100 homes in Jefferson City for families in need. We build quality, low cost homes that are then sold to families at 0% interest over 25 years. The monthly mortgage payments made by families then go into a revolving fund to help build more homes. In addition to building homes, we also operate a a 16,000 square foot home improvement center called the ReStore. People donate new or gently used building materials, household goods, furniture and more which we then turn around and sell at a bargain price. Money raised is then used to build homes for families in need! River City Habitat for Humanity is an ecumenical Christian housing ministry whose objective is to eliminate poverty housing from the Jefferson City area. We work with eligible low-income families to build quality low-cost houses which are sold to the families without profit, and financed for them on a no-interest basis. Monthly payments made by the families then go into a fund which is used to build houses with other families. Funds and building materials are donated by individuals, churches, businesses and other organizations. Construction labor and support of the organization is provided by volunteers. We work with individuals and families who earn between 30%- 60% of the median income in Cole County. To qualify for our program, you must demonstrate a NEED for safe housing, have the ABILITY to pay a 25 year mortgage and be WILLING to partner with River City Habitat for Humanity. River City Habitat for Humanity began building homes in 1992. 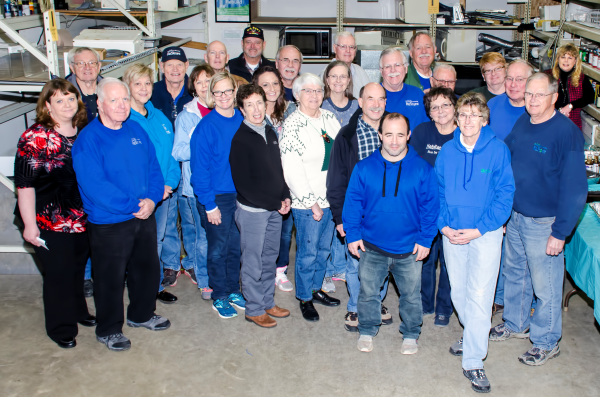 In 1999, we launched a new venture called the Habitat ReStore, a home improvement store and donation center that sells building materials, appliances, new and gently used furniture, and home accessories at a fraction of the retail price. It is owned and operated by River City Habitat for Humanity, and all proceeds from the store go towards the mission of building affordable homes in Jefferson City. A 16 member Board of Directors meets monthly to determine policy and to oversee operations. 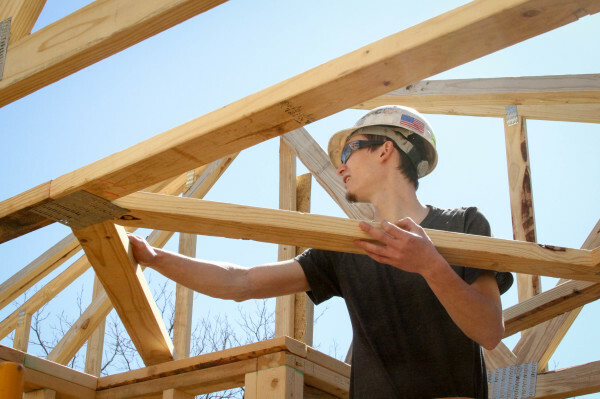 Heavily dependent on volunteer labor, River City Habitat for Humanity operates with one full-time Executive Director, a full-time Construction Manager and two additional part-time staff members. Input from various volunteer committees also contribute to the operations of the organization.